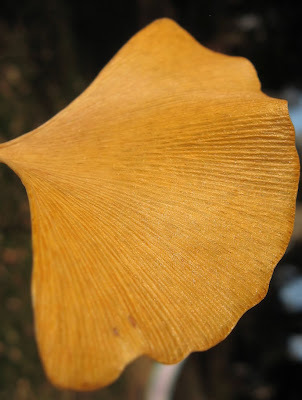 The Ginkgo Tree is considered "the bearer of hope"
Love the shape of gingko leaf. It has a 'gentle and soothing' look to it. I've sent a email to you, I wonder if you've seen it. 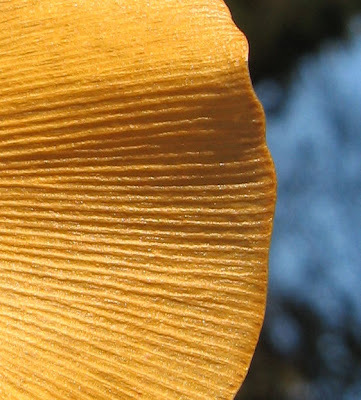 This ginko leaf is a beautiful tribute Fall. 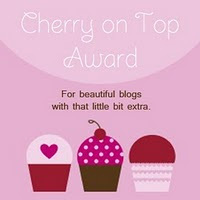 I also like the haiku.